Located in South Laurel County, we strive to provide our customers the best possible water utility service. Our goal is to provide good quality water at the lowest possible cost in the most efficient and courteous manner. 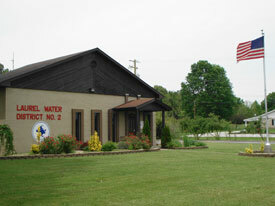 Laurel Water District #2 was established and incorporated as a public Utility in 1963. Today, with approximately 6,000 customers and growing, our service is available in southern Laurel County and West Knox County.